March | 2014 | We RUN USA !!! 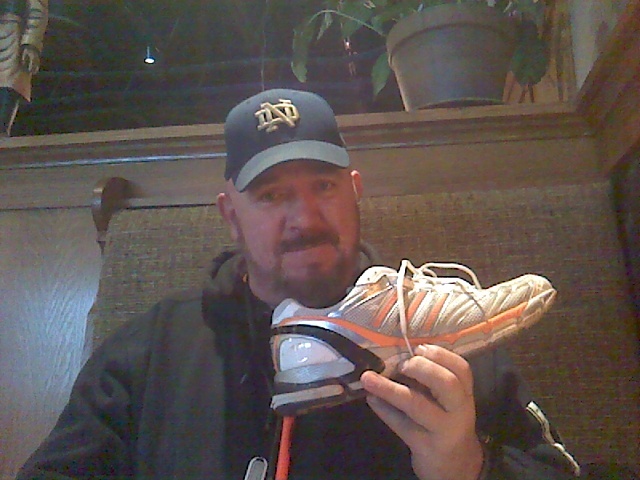 I have been running for 25+ years and have had a lot of fun and have also been quite lucky to never have missed running because of a running injury. Why should runners get and stay strong – head to toe? B) Musculo-skeletal strength is helpful in preventing injuries as the muscles absorb much of the impact. D) Balanced muscles aid in recovery from workouts. The following articles cover a variety of workouts – notice most have similar moves- REMEMBER THOSE ! Last night I was hungry but wanted a simple meal. I had brown rice cooked and ready in the fridge so I built a good meal with it as the base. 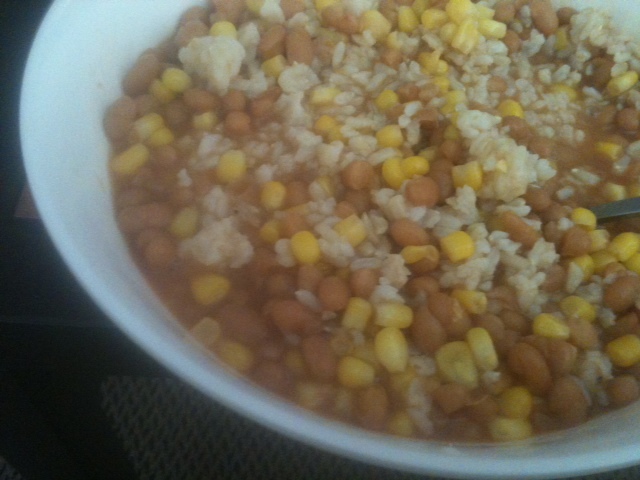 I cooked some earlier made Baked Beans and added a yellow onion, garlic clove and 2 dried hot,red peppers. 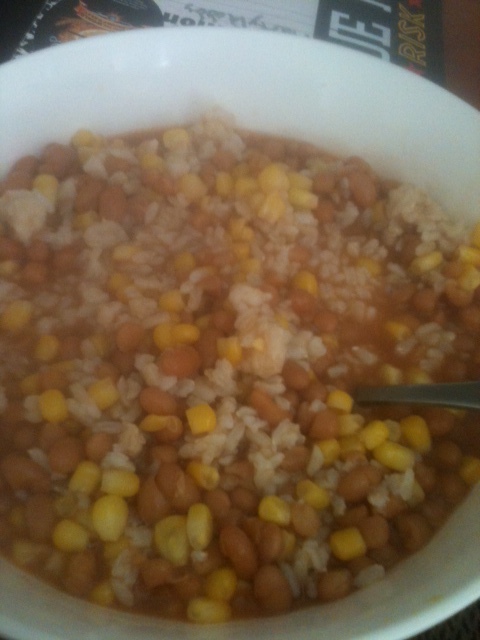 Served on top of the rice and enjoyed with celery and Whole wheat crackers. I read about Oil Pulling a few years ago, as I was dealing with a few tooth issues, I experimented and found it to be comfortable and useful. I now find it to be truly beneficial. Oil Pulling is an ancient detoxing practice that involves swishing oil (1 tsp to 1 tbs) in the mouth for close to 20 minutes ( some people go longer)and then discarding it. The oil is worked from side to side, back and forth, through the teeth and all around the gums. The theory is that the oil is ‘pulling’ toxins, bacteria and waste from inside the mouth and body and collecting it. 4. Continue for 10 – 20 minutes ( do what you can to start and add time as you get used to it. 7. Rinse mouth with a good rinse/was (see below) to clear toxins, brush teeth after. ** More about the theory and practice. I spent the weekend working in the garden- the biggest job was moving fresh sandy soil from the stream bed to loosen heavy clay soil . Each wheel barrow load weighed ~200 pounds and the grass path and hill to traverse was “fun”. The final 15 yards were especially fun as they were criss-crossed with mole tunnels and rolling over those was challenging. We also did some other soil building efforts as we collected several yards of leaf mold and natural compost from the forest floor. It was beautiful material and the garden will be HAPPY. But at the end of the day the basic sets of non-running exercises I practice have set me up for comfort when i run and when I work like a crazy man in the garden. 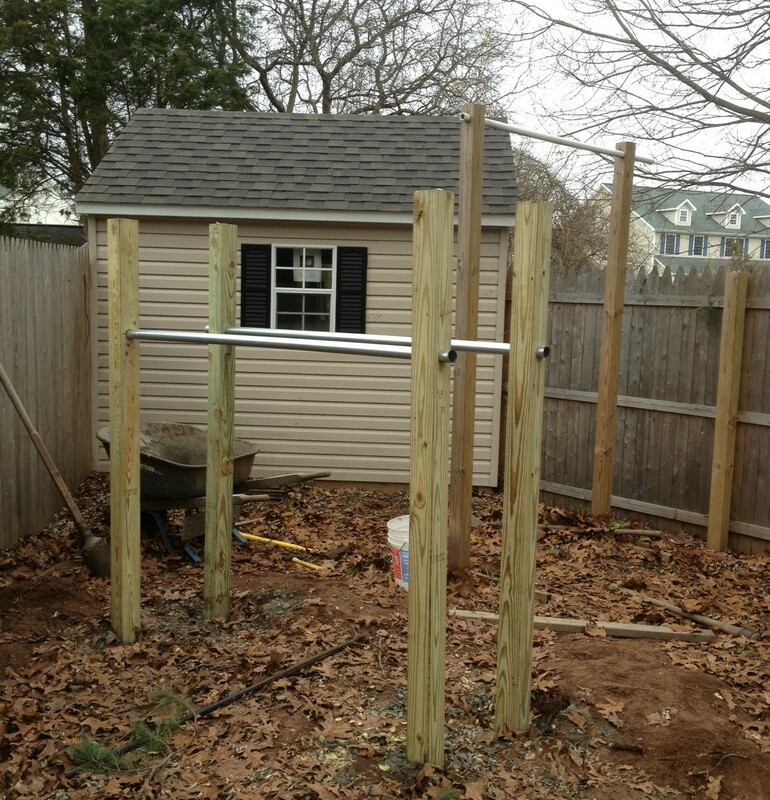 *Bodyweight exercise you can do almost anywhere- without a gym and a lot of gear. ** Bodyweight exercises for fun and fitness. *** Some core basics and stability issues. 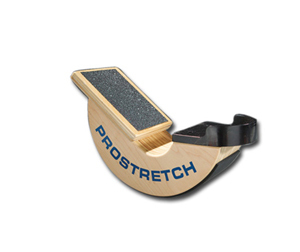 Build and maintain stable and supple core for comfort int he runs and balance to prevent injuries. As spring roles around and the 1st hit of spring is clocks SPRINGing FORWARD tomorrow- we think of training and fitness for the whole year and whole season. Cross-Training, strength Taining and flexibility are all key components of a total package and complete plan. So few of us can or should race / compete in many races. We can participate in races and enjoy the camaraderie and the fitness and the spirit. Have fun, run, sweat stay fit but DO NOT TRAIN- like an Olympian. We work too many hours, have too many outside obligations and therefore insufficient time to rest and recover from hard Training workouts , We will have time to rest from easy 5-7 day/week runs. * Training for Runners- Total body fitness. What did you do all winter? Run every day or once a week as the weather has challenged you with cold and slick and snow. Did you hit the treadmill(Yuck !! but helpful) Ride the bike, play some basketball? Or is Spring a time to star back up? WHAT ABOUT SHOES, BRAS AND APPAREL AND ANY OF THE OTHER EQUIPMENT. tHE MOST IMPORTANT other PIECE IS THE WATER BOTTLE (or Hydration Systems) All of the other stuff is just Crap. For the average runner the GPS and fancy training watches are more danger than benefit- They assist you in over-training because the program are almost all written for competitive ” professional” athletes, no the average plumber or accountant running 4 days a week and 5- 6 races a year. *Now this article discusses building back up after a winter break. This is important if you have been enjoying donuts and reruns of the filth on the average TV program BUT if you have been running and/or cross training the biggest concern for spring is acclimating to the warmer weather- drink up and eat up. * Now the idea of Spring rain is the next concern. Spring rain can be warm and comforting or chilly. be prepared and enjoy the run- if you are running- be prepared to change clothes soon after. There is always the non-stop convcersation / debate about the safety of running , or that running is bad for the knees…. I disagree as tot he safety or cause of injury. RUNNING DOES NOT CAUSE INJURY !! At least for most people. How they run is what causes most injuries. Most runners should not TRAIN. By that I mean they should workout- have fun maybe even prepare for marathons or half’s but following the published training plans is usually the cause of injury for runners that work the typical 40-50-70 hour work week. The biggest cause of injury in runners is- INCOMPLETE REST AND RECOVERY . If you get hurt what tools can help? This item is my favorite. It bought mine over 20 years ago and use it to this day. I have big thick calves and this has helped prevent the troubles I was having in the early days of running. This is a web pic of the wooden one that I have- but mine looks very much like this after 20+ years. The next favorite tool is as et of rubber balls that are helpful in foor ( and hand) health. 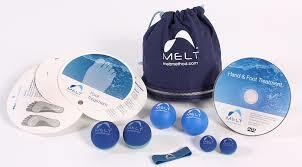 The M.E.L.T Method is useful in dealing with foot pain but also useful for the rest of the body. Find an expert near you. The foot treatment kit comes with video and instruction booklet-as well as the full set of rubber balls. 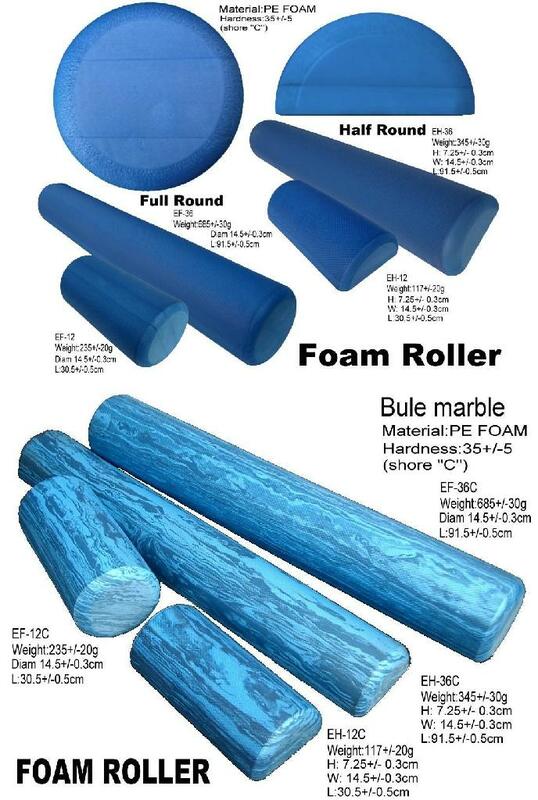 Finally is the ever popular foam roller- There are some many different options- I only show 1 set here.